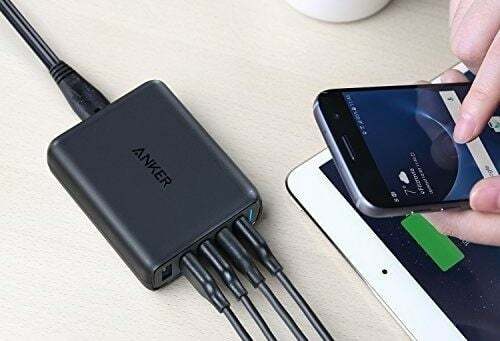 Amazon is offering the Anker 51.5W 5-Port USB Wall Charger for just $24, a 72 percent discount when you use promo code BEST2055. The Anker PowerPort Speed 5 implements multiple fast charging technologies to deliver high-speed charging from multiple ports to devices such as your iPhone or iPad. It’s five ports pump out 51.5W of power—enough for the whole family to simultaneously charge multiple devices at the highest speed possible.